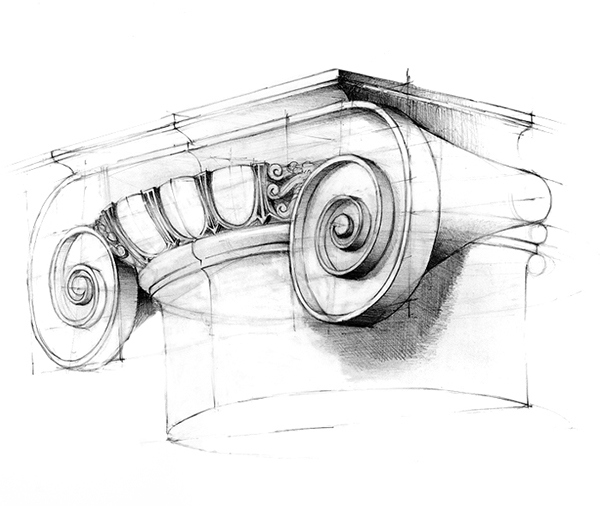 "Ionic Capital" - an old sketch made during studies. 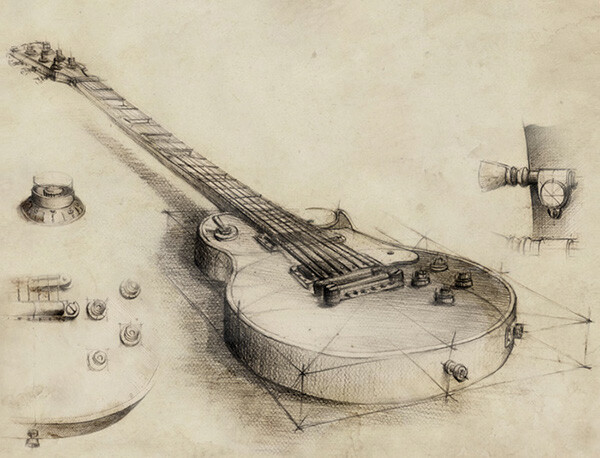 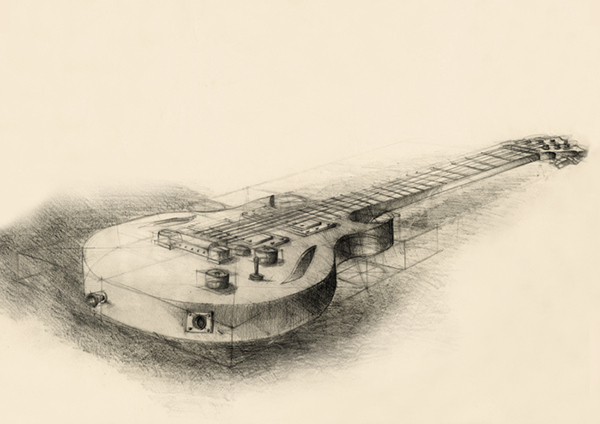 Pencil study - it's actually my own project of a guitar. 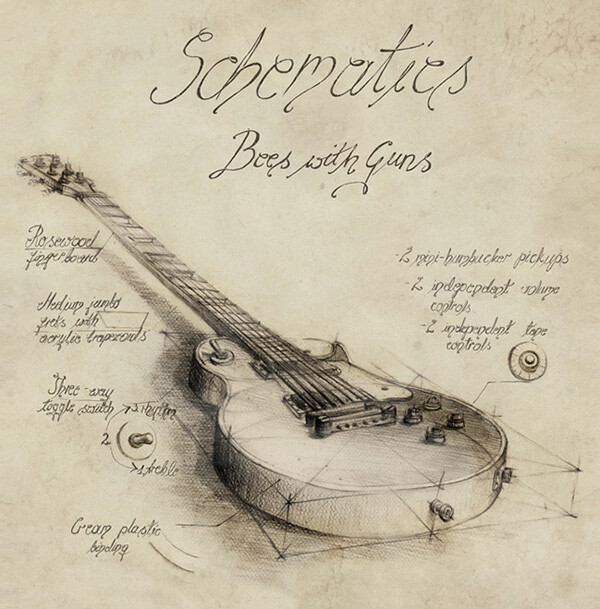 Sketches for a music CD, band - "Bees with Guns"